The Gilian 5000 now has a programming feature that adds increased functionality for Industrial Hygienists and other safety professionals. This new feature adds a four stage program with repeat cycling, auto start and stop or intermittent duty cycles and programmable delayed start. Programmable features on personal air sampling pumps can be highly beneficial during many applications when a worker is fitted with the instrument for a routine work shift or when a long-term area sample requires intermittent sampling. 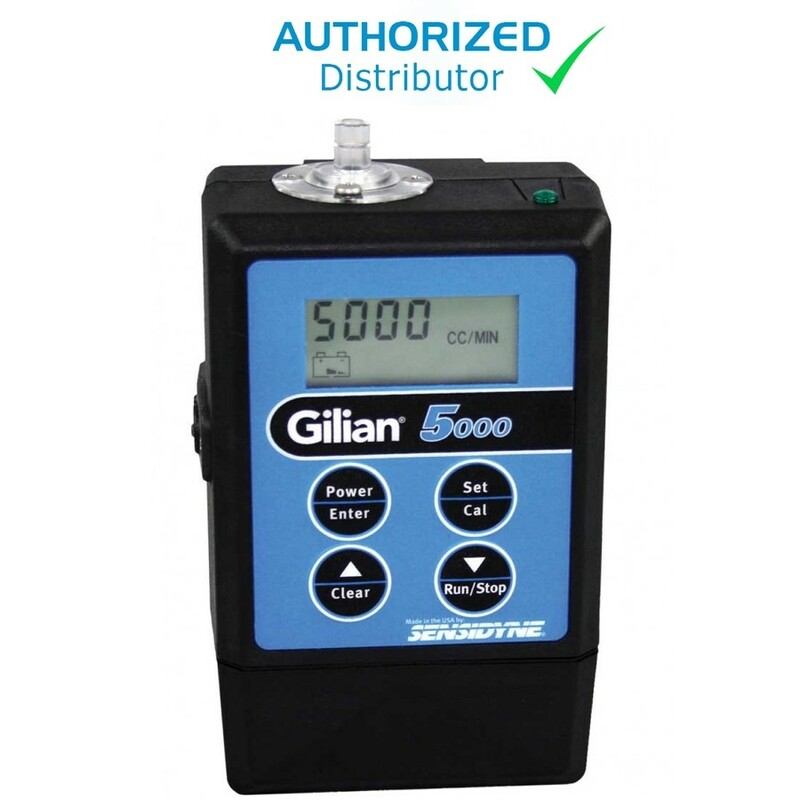 The Gilian 5000 Air Sampling Pump has low flow capabilities (20-750cc/min) when used with the low flow adapter for Gilian 3500 & Gilian 5000 (ems product ID 100116 - see ''Related Products'' below).